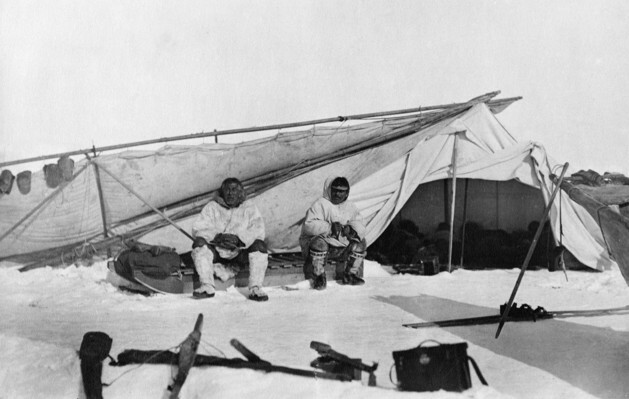 Hunters at their camp. One man wears a visor (right). Grass socks hang on at the left. Barrow, 1921. Courtesy of the Anchorage Museum, B70.28.16.